In village of Agistro, only 26 km from Agnantio Hotel, is the oldest Turkish bath. It dates back to 950 AD. and is characterized as a true cultural monument. It is an exceptional alternating scenery, serene with lush vegetation and ideal climate conditions. During the reign of Filippos 2nd of Macedonia (4th century B.C. ), mines of iron and gold operated in the Agkistro mountain, which along with Paggaio mountain, funded the Alexander ‘s the Great campaign to Asia against the Persians. The thermal springs of Agkistro have always been visited by people throughout the centuries. Visitors can enjoy their bath in the byzantine tub. Three big hydrants supply the historic group tub with an abundant flow of hot water. Five individual tubs also operate. 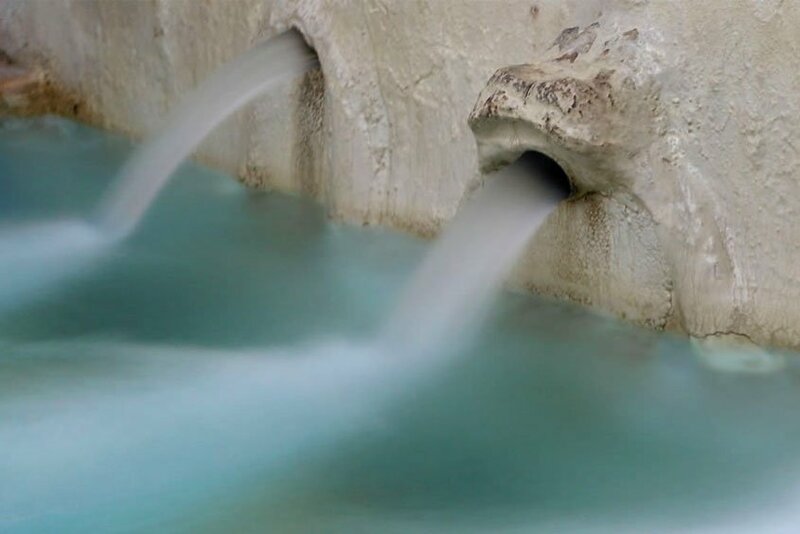 The temperature of the water in the tubs is 37° C.
Thermal springs of Agistro are considered among the best in Europe, and are open 365 days, 24 hours a day.